Around 1900 Debussy composed 12 short pieces for two flutes, two harps and celesta as incidental music for the Chansons de Bilitis (recitation of ancient Greek poems by the courtesan Bilitis) by Pierre Louÿs. 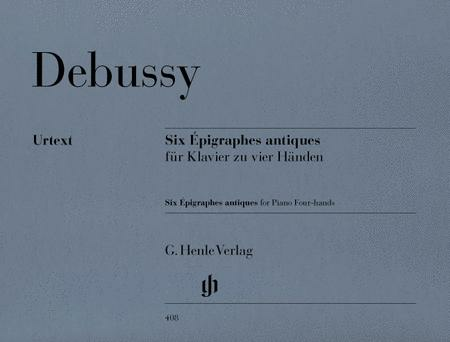 Although it was performed, the work was not published during Debussy's lifetime. The composer highly valued the work and returned to it in 1914, choosing six of the old pieces and reworking them into an important new cycle for piano four hands. At the same time he also completed a version for piano solo (HN 402). Debussy succeeded to transform the delicate incidental music into a colourful, sonorous piano setting in both versions.